Fluid contamination from solid particles account for 75% of mechanical system failures. Access real-time data for monitoring system cleanliness, temperature, etc. Lower ISO codes to provide optimal conditions for equipment. 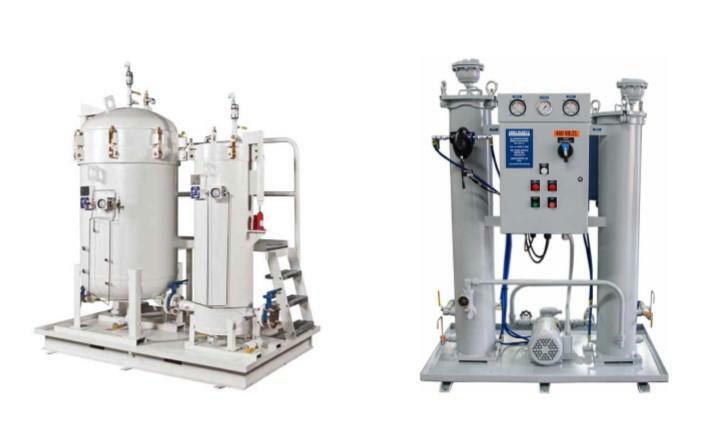 We can provide specialty filtration equipment for most industrial applications, bulk oil reservoirs, fuel farms, machinery, turbines, and more. We provide consulting services, onsight support from a service technician, and we also have filter cart rentals for the DIY guys. Perhaps you're an equipment manager who requires cleaner fuel to prevent expensive fuel injector failure; ask us about our high efficiency filters or fuel filtration equipment. Stop repairing, start maintaining. Portable filtration at it's finest. Ideal for lower viscosity hydraulic oil, lube oil, and diesel fuel. We like to pair it with our water removal filters. You can customize your own cart OR rent one from our Parts & Supply Store. If you need a smaller solution for tight spaces or filtering out of drums - try the Filter Cube. It features a gear pump, dual spin-on filter assumbly, DP gauge, and steel frame that can be easily carried and tranported. If it’s diesel fuel, we can filter it. Diesel fuel cleanliness is more critical than ever with increasing combustion pressures and fuel injector sensitivity. We have a wide range of Diesel Fuel Filtration Systems to remove water & fine particles from bulk diesel fuel storage tanks. These systems are ideal for keeping fuel in pristine condition where fuel quality and reliability is critical. No matter your fuel reservoir size, we have a clean fuel solution for you. Our large system flow rates range from 100-800 GPM, and our compact system flow rates range from 10-75 GPM. Do you have a unique application or need specialized portability? 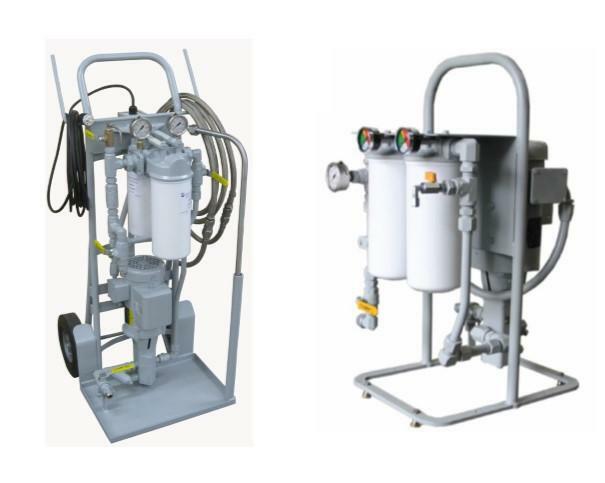 Our diesel fuel filtration systems come in numerous designs: large skids, filter carts, panels, and compact mobile applications. Do you need a skid in a Heavy Duty Off-Road capable trailer? All you need is ask. 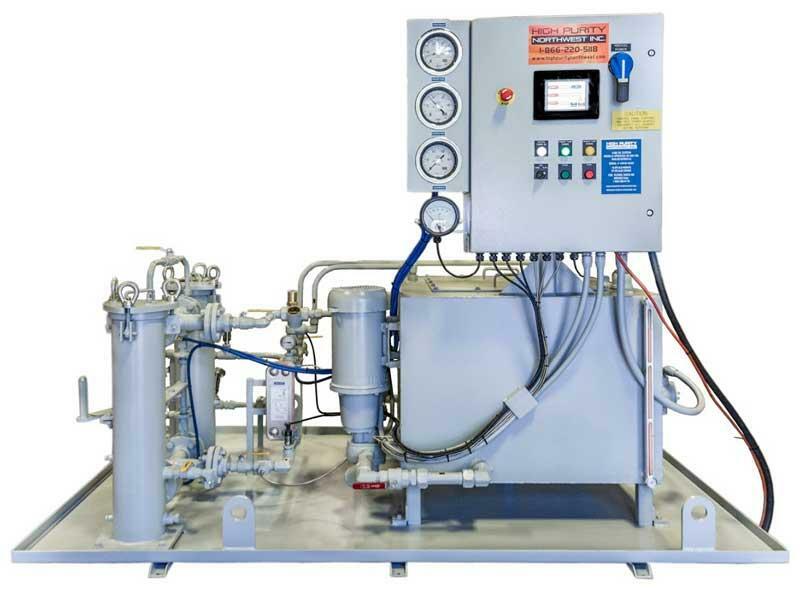 Keeping fluids clean and dry with a high-quality hydraulic filtration system extends component and bearing life, increases productivity, minimizes downtime and extends useful fluid life. Ideal for large reservoirs and high-viscosity lubricating oils. Rapidly removes fine particles, all forms of water, including free, emulsified, and dissolved water and gas from hydraulic and lubricating oils. Designed to reach & maintain dryness levels at 10ppm or better and ISO 13/10/8 or better. Low watt density oil heaters for rapid oil heating without thermal damage. User friendly operating system with state of the art control panel. Equipped with sizeable, high-efficiency filters. Nema 7 Explosion Proof or Class 1 Division 1 systems available. Mini Vacuum Dehydrator for low headspace clearance and improved mobility. Modular and stackable systems for storing bulk lubricants and keeping them in pristine condition. Retractable hose reels and dispensing guns. Gear pumps with integral relief. Access manway/cleanout/inspection hatch, desiccant breathers, and circulation timer. Low watt density submersion heaters are optional. Available in a wide range of sizes with standard sizes from 50 to 600 gallons. 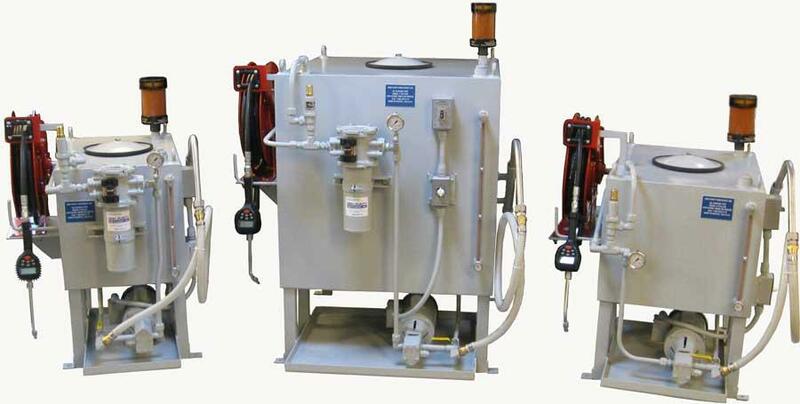 Dispensing Systems for oil, ATF, coolants, & other common industrial fluid applications. 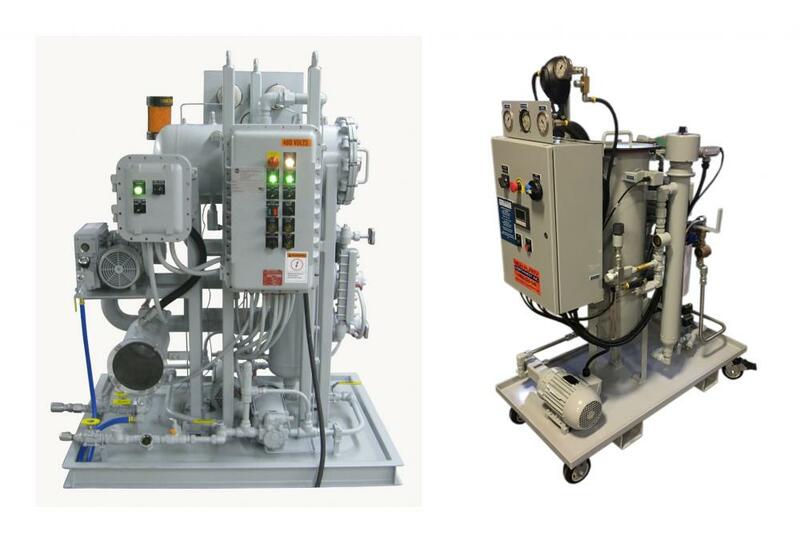 Delivering clean, pressurized oil in critical applications. We understand that the lifeblood of your rotating or reciprocating equipment is the lubricating oil, so we ensure that all our systems maintain immaculate fluid cleanliness. We offer 3D modeling and CAD engineering to create pre-construction approval drawings. Any system ordered for a new installation is built to your exact specifications.